Once you find that you have lost some important data from your Samsung by accident, what instant reaction would be taken to response this annoyance? The proper answer would be this: First of all, you are supposed to check out whether you have used cloud services to back those data up. 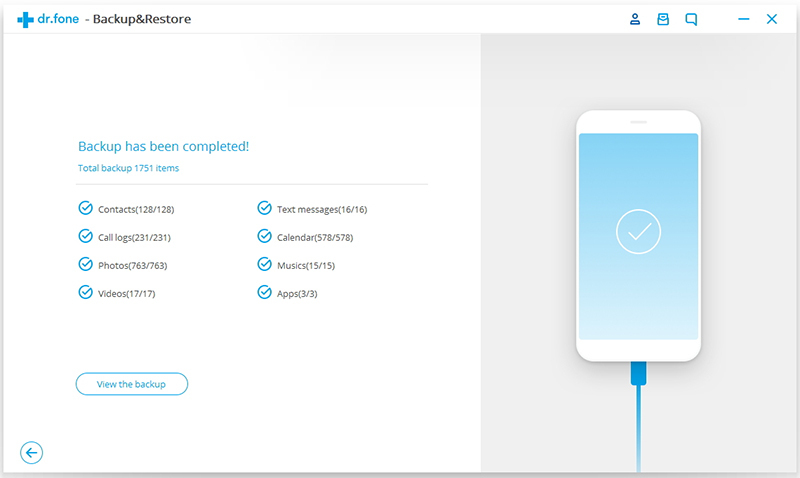 If the reply is yes, congratulations because you can simply log on your cloud drive account to recover your deleted data!Even if you haven’t use any cloud storage, there are plenty of third-party software such as Android Data Recovery that can help you out. Google Drive has both Webpage and mobile-phone version, so you can choose one of them to do backup and restoring. No matter what kinds of files you have lost, including photos, videos, messages and other documents, as long as you have used Google drive backup, certainly you can get your deleted data back, but In most cases, the missing data from Samsung internal memory are applications and some essential software. Note that Google Drive is only available under networking connection. Step 3: Click the “Restore from bin” button on the upper right of the webpage and the recovery is accomplished. If you have not accustomed yourself to use Google Drive, don’t be panic, because one of the most prestigious data recovery software: Android Data Recovery is going to give you a hand! Besides, you are able to restore data from both Android device and the micro SD card. Let’s see how to actualize it. 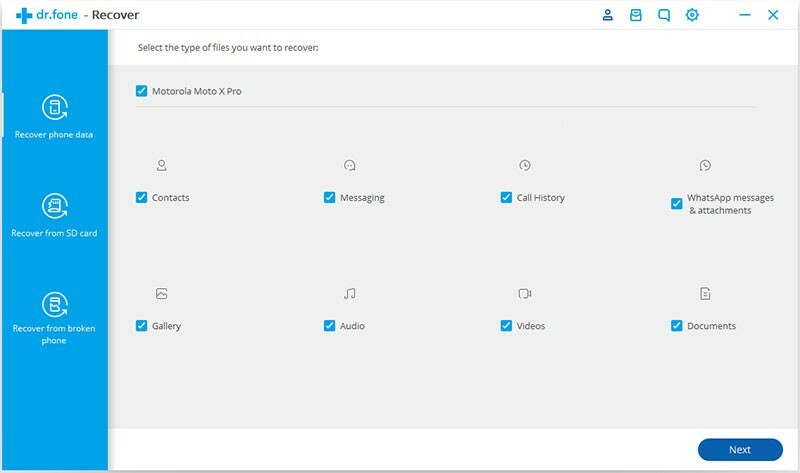 Step 1: Launch Android Data Recovery and connect your Android device to your laptop or tablet, click “Recover” and choose the data type you want to recover. Step 2: Follow instructions to do USB debugging and this is an optional step, if you have done this before, this prompt interface will be skipped by the program automatically. Step 3: Generally, scan your device in the Standard Mode. 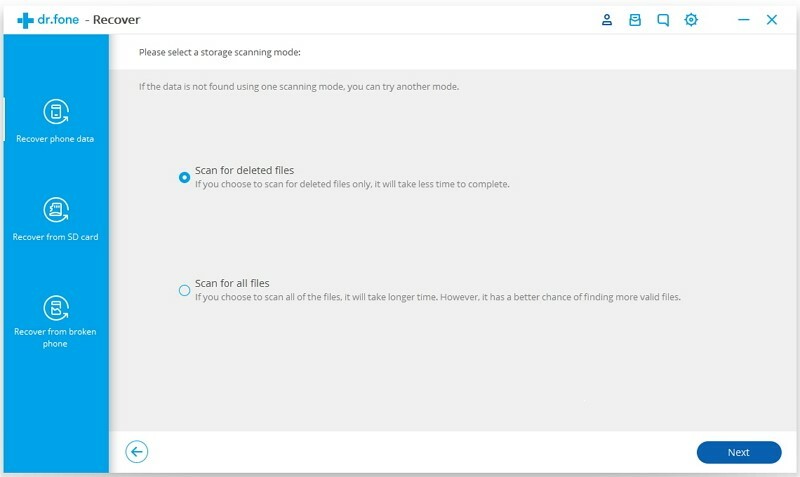 If it cannot find the files that you want, try the Advanced Mode. Note: Ensure your phone battery is over 20% before this process. Step 4: Head for the final step of the recovery. Put ticks in the appropriate boxes beside the pre-restore files. Click on the “Recover” button when everything is ready. Done, all data like messages, photos, WhatsApp Message and attachment will be saved from the internal memory to your computer. 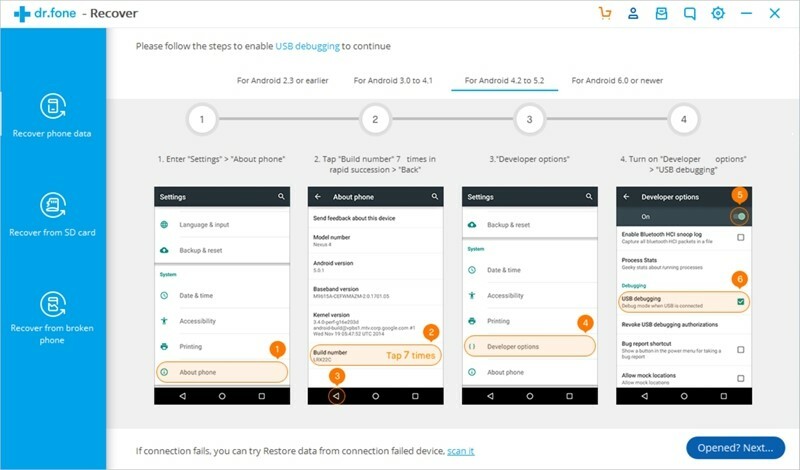 We would like to remind you that although Android Data Recovery can help you a lot in recovering data, but the precondition is the deleted stuffs haven’t been overwritten. It is better for you to take backup as a routine! We suggest you back important data up at regular intervals by using some cloud backup tools such as Google Drive and Dropbox, which is quite convenient and secured. 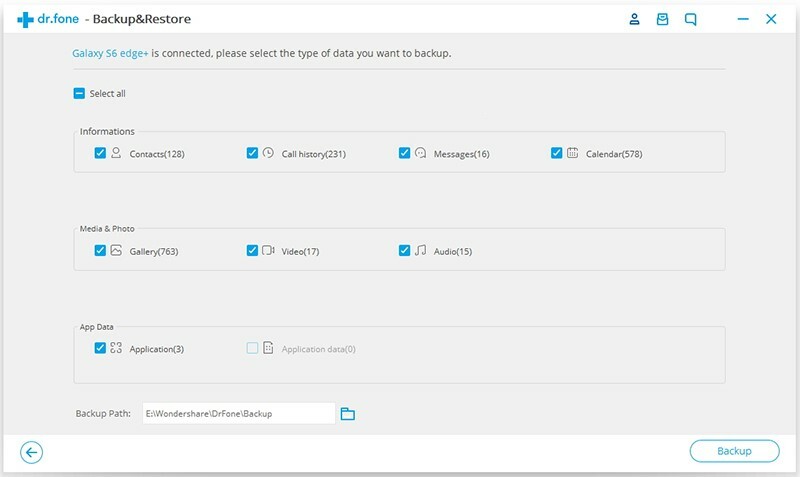 Moreover, you can also make good use of Android Data Backup & Restore and backup your significant stuffs in computer local folder. 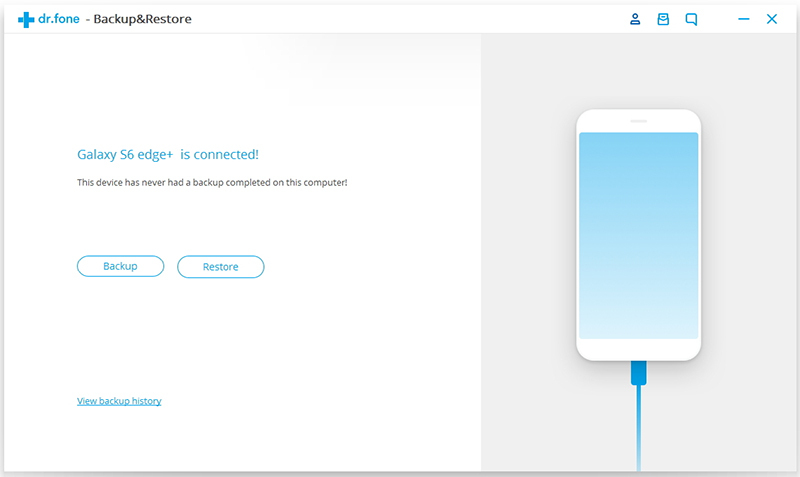 Step 1: Run the program, click on Data Backup & Restore among all the toolkits and do connection between your Samsung phone and the PC via a USB cable. Step 2: Select the kinds of file that you want to backup. By default, all the files are chosen by the program. Click on “Backup” button to continue. Step 3: Note that do not disconnect and use your Samsung phone during the process. 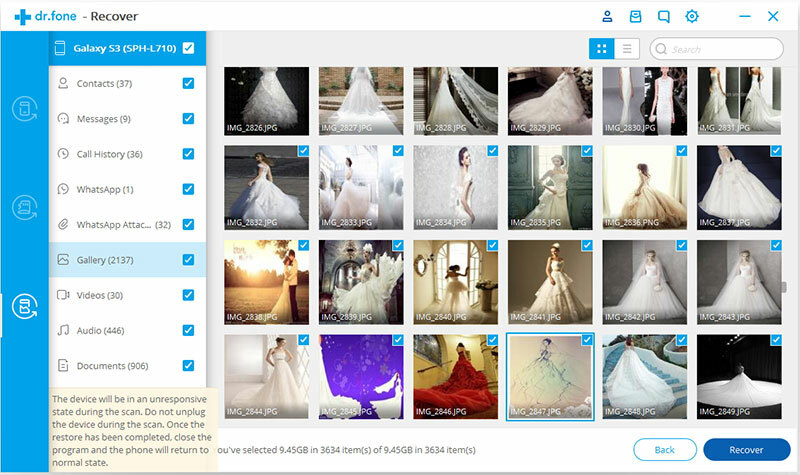 Step 4: After the whole procedure is finished, take a view at what you have backed up. Since what store in internal memory are quite necessarily significant, we advice that you attach great importance to regular backup and meanwhile, know more about Android Data Recovery, a useful data recover tool, just in case of losing data accidentally next time.